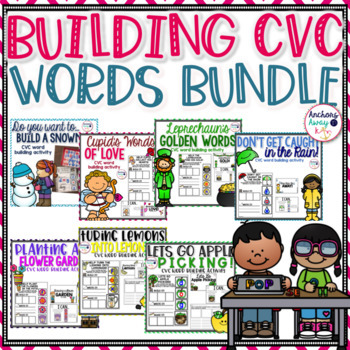 This bundle a great way to reinforce building CVC words with your kiddies ALL year long! Everything included (except for the mats) fit in a 4x6 photo box. 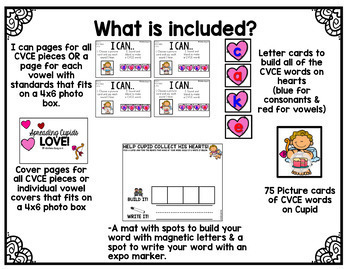 There is a cover and "I can" statements and corresponding standards. 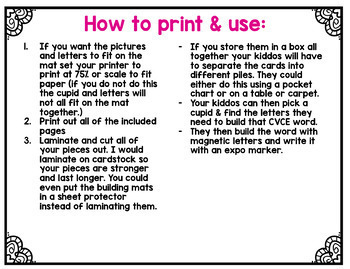 If you store the pieces in a box all together your kiddos will have to separate the cards into different piles. They could either do this using a pocket chart or on a table or carpet. 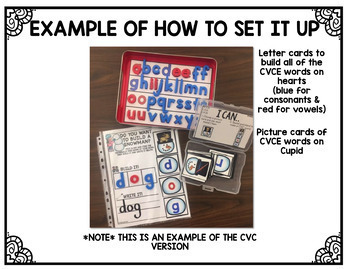 Your kiddos can then pick the card with a picture on it and find the letters they need to build that CVC word. I hope you and your kiddies have fun finding building CVC words!